Fungal nail infections are difficult to treat. Of all the available treatments, Laser therapy is one of the most effective choices. It is an attractive choice since it doesn’t require anaesthetic, is painless, cost effective, drug free,and results can often be seen much faster than traditional methods. The laser produces light and heat that is destructive to fungal elements. Dr Hugo is a Specialist Foot Surgeon who will assess your nails and determine if laser treatment is right for you. 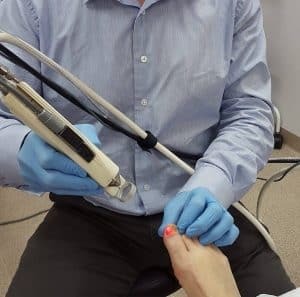 This clinic has one of the most powerful on-site fungal nail lasers in Perth. It produces a 5mm dot point beam which is much larger than other clinics offer. 30 minutes is allowed for each treatment during which your skin is also assessed for signs of Tinea. All nails are treated in the same session. Costs: $300 total (Items F014 -$90, F541 -$210). 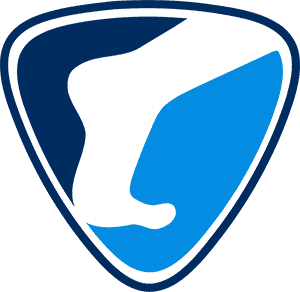 Check with your insurer to see whether you are covered for this service. I can offer same day treatment which saves both time and appointment costs. 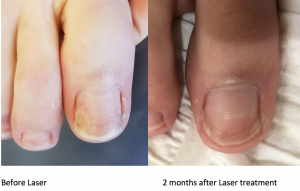 Use the “Book Now” button and choose fungal nail laser to see available times.